Comments: Dense fog overnight and right through to 1000hr when intermittent misty visibility returning. Calm, through E F1 rising SE F3 by mid afternoon with QNH ridging 1017 midday. 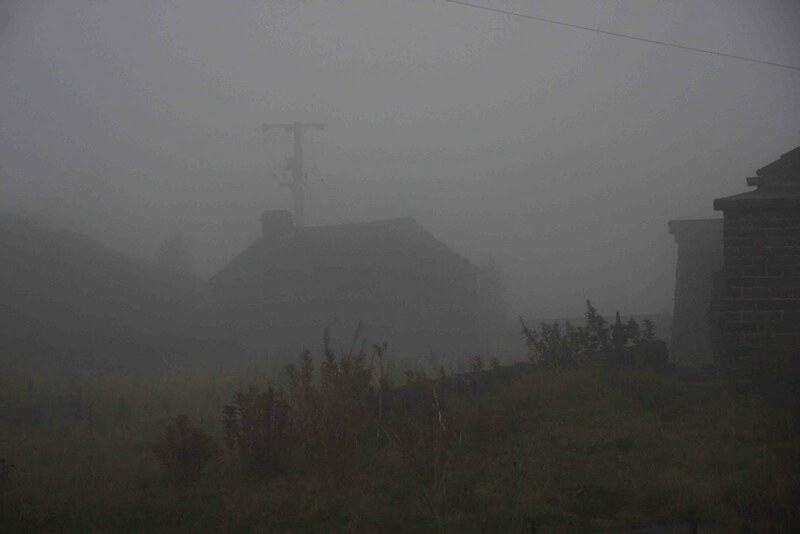 Birdwise, no sign what so ever of the massive fallen continental arrival yesterday onto the east coast, just the normal trans and down Pennine movements apparent and not much of that either, The only possible indication of the continental stuff were calls from three unseen well spaced Song Thrushes over in the fogs mid morning. A surge of mipits and albas (the birds of the day) after the fogs lifted at c1000hr was impressive including a big 14 flock of albas and many moderate trains. Swallows were absent except for a very large fragmented party south in three lots just after 1300hr, In summary a lot of watching for little reward as essentially empty skies over us. Just in case things should change an early morning check of the bushes and plantation found them empty except for a single Robin which was not new.